Today, there are many useful iPhone apps available in the market. Most of the apps are free of cost. Such a wide array of applications available for iPhone makes it difficult for the users to make a good choice. Generally, users carry out ‘Hit and Trial’ method to use the apps on their iPhone. But, sometimes such trials fail to stand up to the expectations of users. In order to negate such a situation, experts have listed some of the best free iPhone apps that you can choose from. Through Mobile phone apps, it has become easier to stay connected with friends and get entertained. 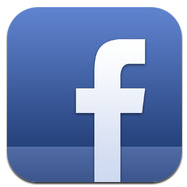 ‘Facebook’ app allows you to keep up with your friends faster than ever before. This free of cost let the users see what their friends are up to. You can share photos and videos among your friends easily. In addition, you can upload new pictures or videos that too within seconds. This app notifies you whenever your friends like or comment on your posts. 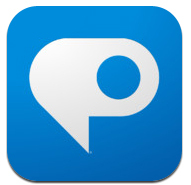 Adobe Photoshop app allows you to edit and share your photos through mobile phone easily. You can now enhance up your pictures easily that too in no time through this app. You can crop, rotate or adjust the colour of your photo along with add-on effects. The artistic filters such as text or sketch can also be fixed with the pictures. Usually, people do look out for a way to reads books online through their mobile phones itself. Understanding this need, experts have come out with the app ‘iBook’ that makes it easy for you to read books online. You can download as many books as you want and read them. 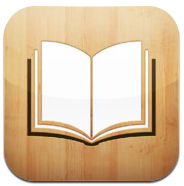 There is an online store in the app ‘iBookstore’ that contains various books be it bestselling books or the classic ones. Google Earth is a free app available for iPhone that allows you to see Google map and reach out to any place you are looking for. You can fly anywhere and everywhere on earth. Users can view galaxies, satellite imagery, maps, 3D buildings, terrain and oceans as well. In short, one can easily explore geographical content and share with others as well. 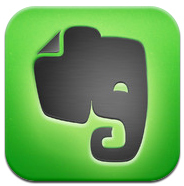 Being as easy to use free app, Evernote helps the users in remembering about all the devices that one use. You can easily organise your each and every activity and keep a proper record of it by taking notes or capturing photos. You can even record voice reminders and create your to-do list. 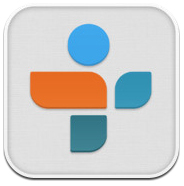 TuneIn Radio is an online radio that lets you enjoy the radio stations with the support of internet. You can listen to radio across every continent and any domain such as music, sports, talk shows, news and comedy shows as well. You can enjoy 70,000 radio stations altogether at a time. 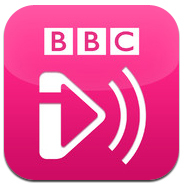 Through this app, you can watch Live TV through Wi-Fi or 3G network. By scrolling down, you can easily come across most popular programmes that you would like to see. The schedules mentioned give you an idea about the upcoming programmes. Above all, you can even listen live radio. Chrome browser for iPhone allows you to browse on your phone faster than any other browser. You can feel as if you are networking through your computer. Through the same box, you can search and navigate fast. Page loading, zooming and scrolling becomes faster and lets you experience the fun while browsing. 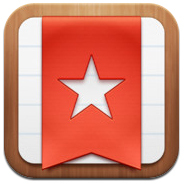 Wunderlist is an easy way to maintain your everyday to-do list. You can plan overseas adventure, prepare a shopping list and can share info with your friends as well. In short, it is a fantastic way to get the work done for you that too without any barrier. This app allows you to see and download videos. 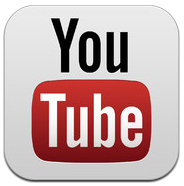 Users experience the YouTube app for iPhone is similar to that used on computer. No matter where you are, but you can browse numerous videos as per your likes. Apart from this, you can even upload the videos. These are some of the best 10 apps for iPhone that are available for free. So, what are you waiting for? Download these apps and experience a new trend altogether. Great apps. Will check out the radio apps as I’ve been wanting to get a good one. I use almost all the others too. Good collection.Find My Iphone , Google maps are my favorites.